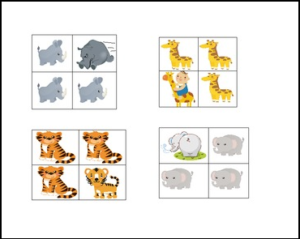 The goal of this activity is to teach children visual discrimination skills. As the student looks at each group of cards, they have to determine which picture is out of place. ← Which letters are most important to young learners, and a fun (and FREE) activity!